High speed wireless Internet provided by LV.Net is without peer. With offices mere blocks from the Las Vegas Strip, LV.Net proudly holds its base of operations in the city of Las Vegas and also bares its namesake. LV.Net provides high speed connections and Wifi throughout the entirety of Vegas. We have also worked diligently to extend our exemplary service thoughout Las Vegas and beyond for the last seventeen years. Our coverage continues to grow by leaps and bounds and our staff and capabilities have done the same. LV.Net's service has spread to multiple cities over the past few years and currently we serve Primm Valley, Boulder City, various cities in California, Mesquite, and soon Pahrump. Featuring dependable 24/7 support and a time-tested network, LV.Net provides the highest standard of customer reliability. Our network is built upon a foundation of flexibility and redundancy, allowing our connections to stay up and running when the competition fails. 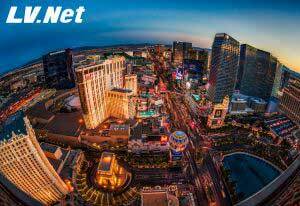 LV.Net is the recommended ISP provider of thousands throughout Southern Nevada with new clients joining our incomparable service each day. Have a convention or in need of temporary High Speed Internet 1Mbps to 1000Mbps in Las Vegas call us now 702.792.5100 for a quote or email us.